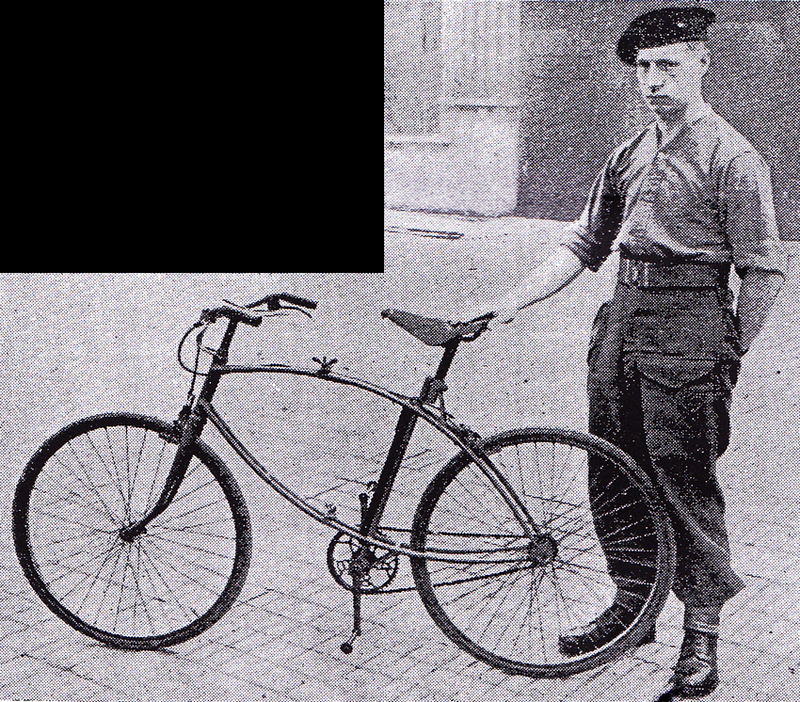 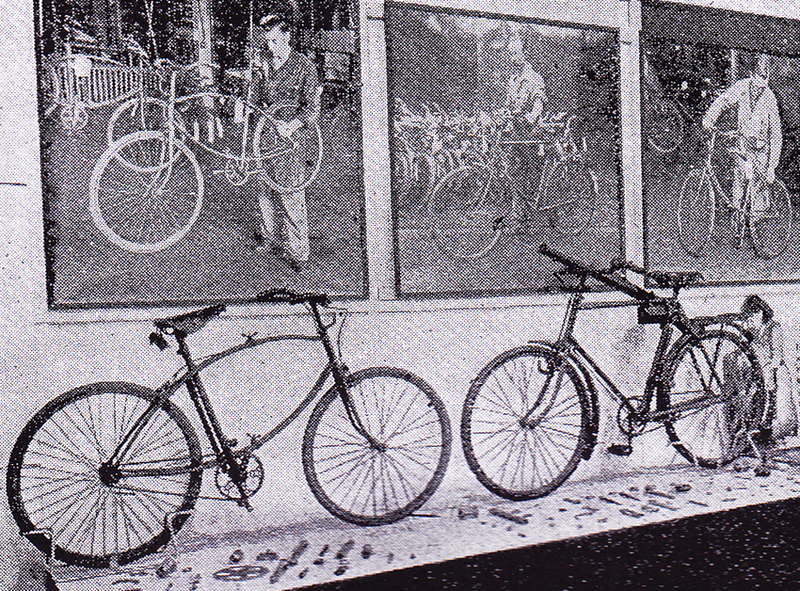 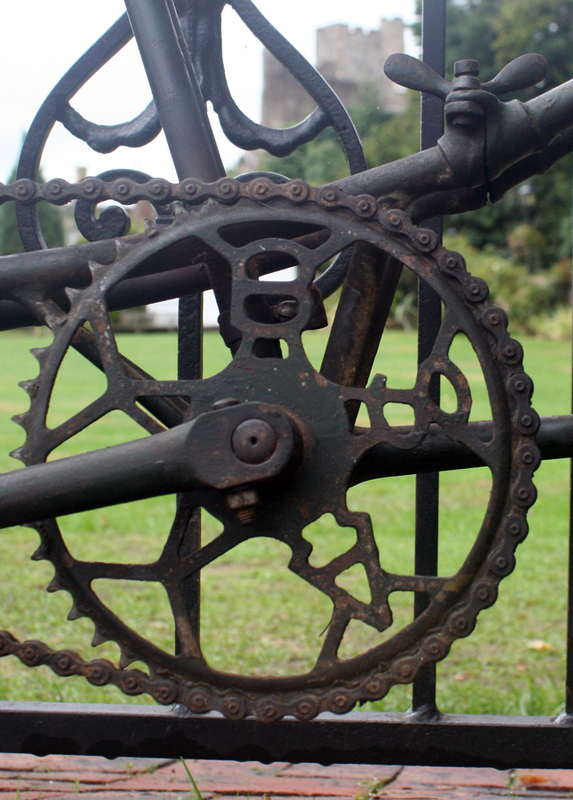 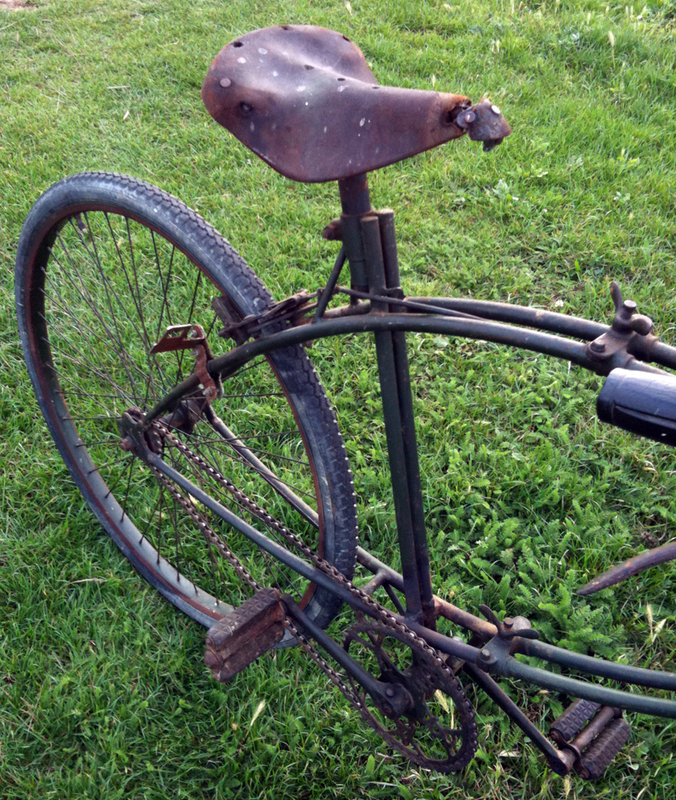 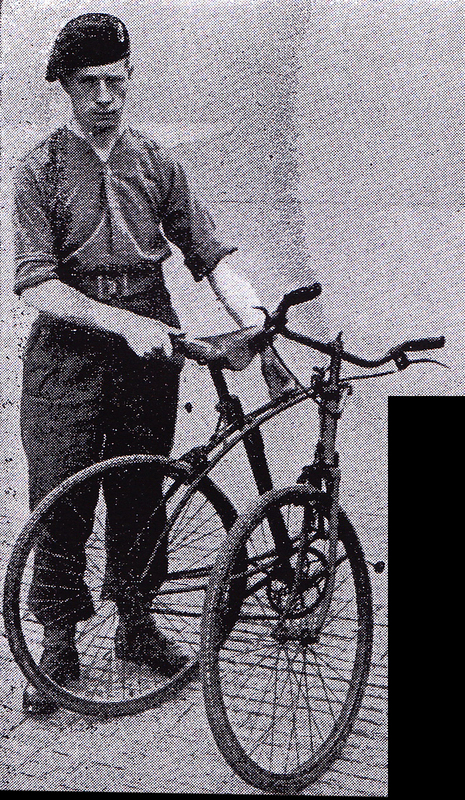 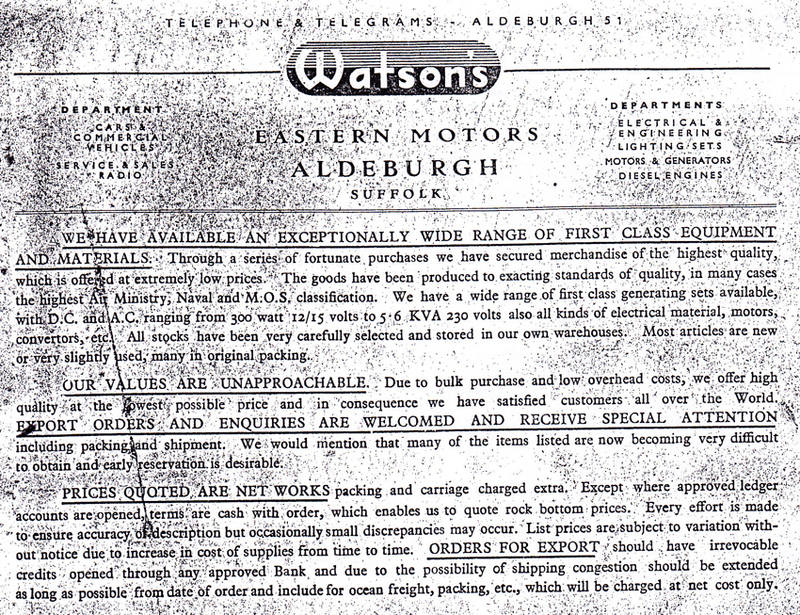 The overwhelming majority of the 70,000 Airborne bicycles manufactured were the later model with a single seat tube. 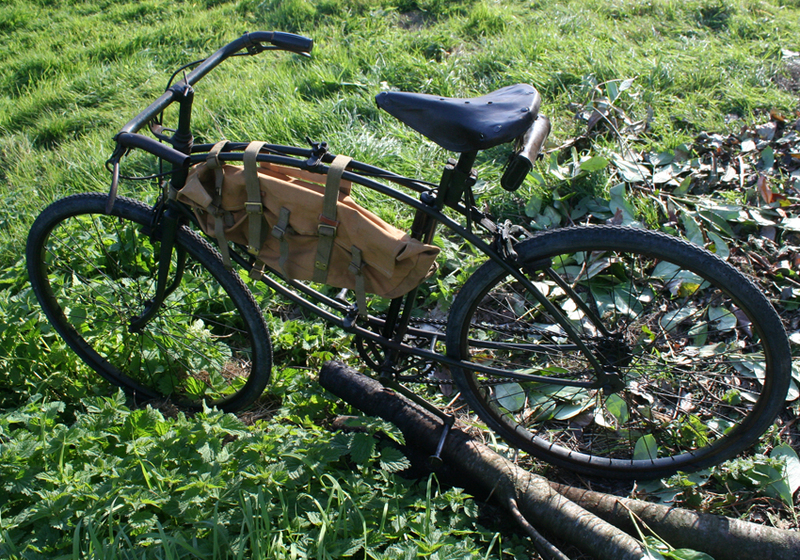 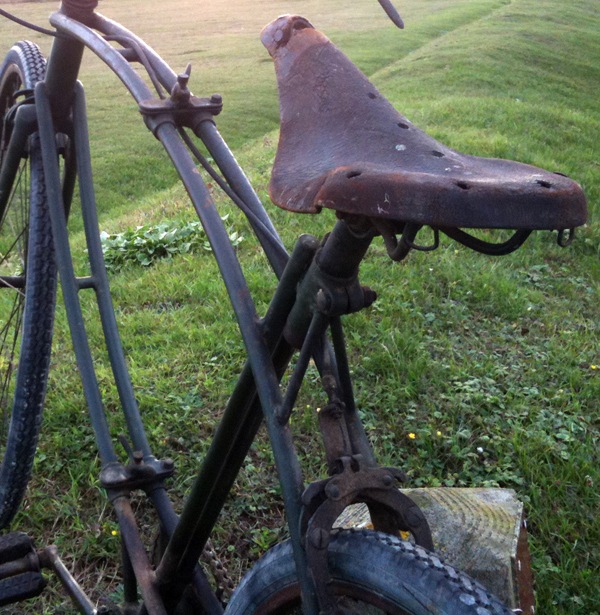 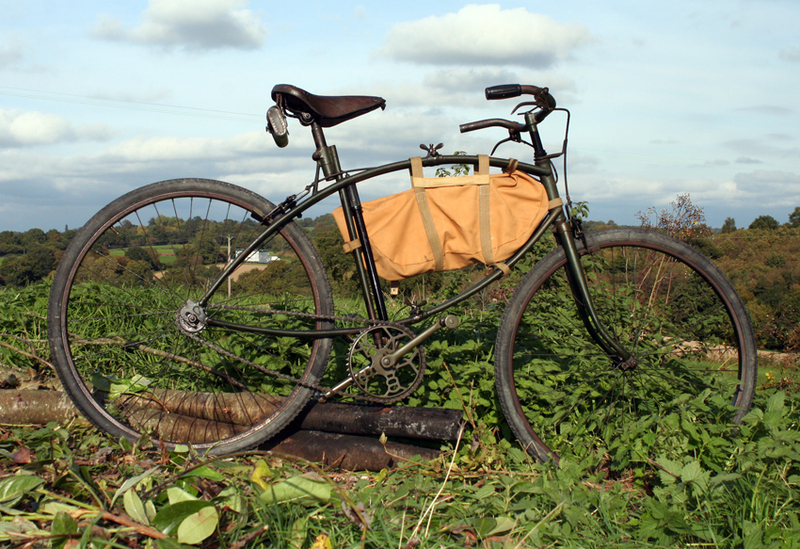 This is the first design, a lightweight version with a twin seat tube. 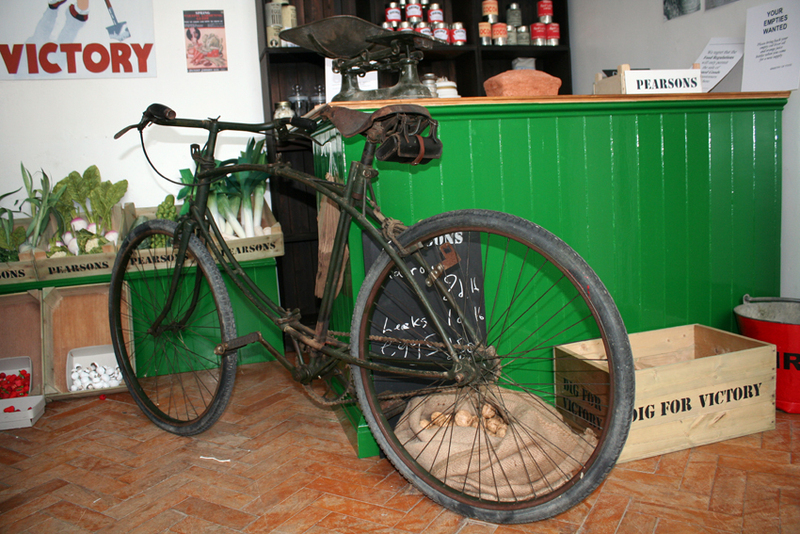 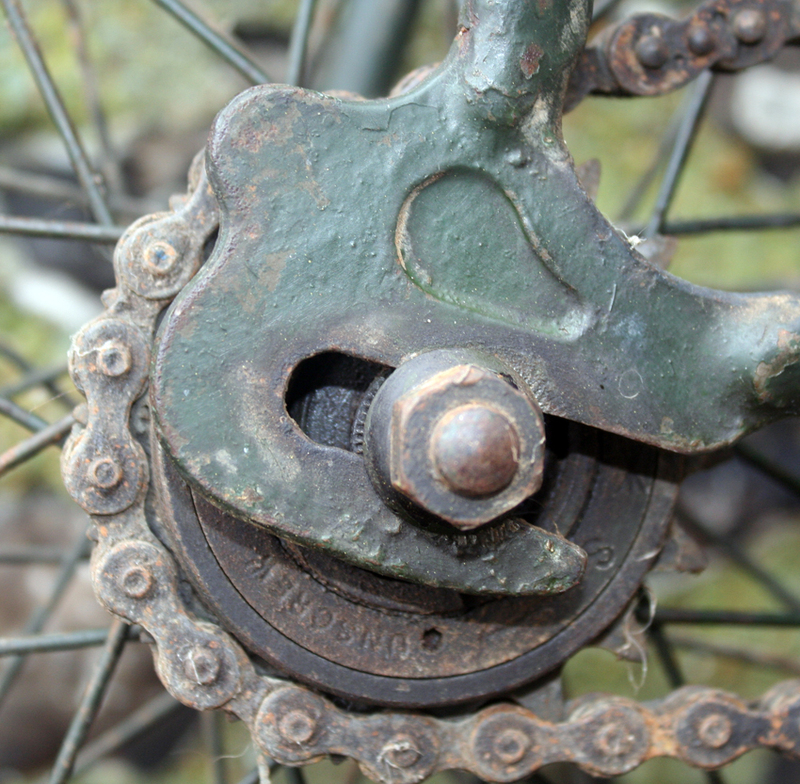 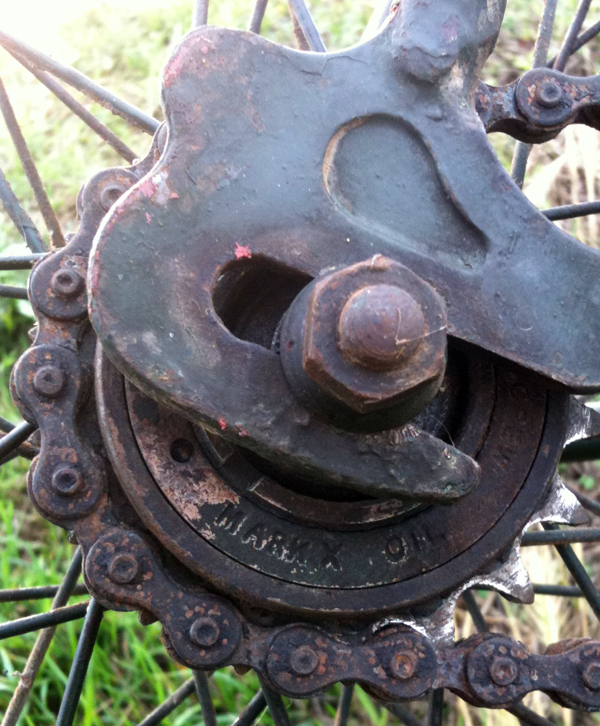 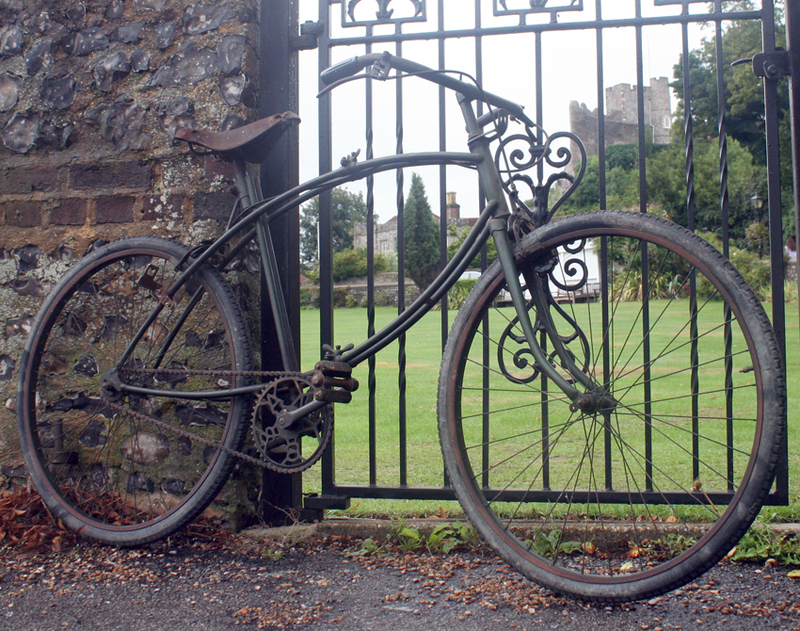 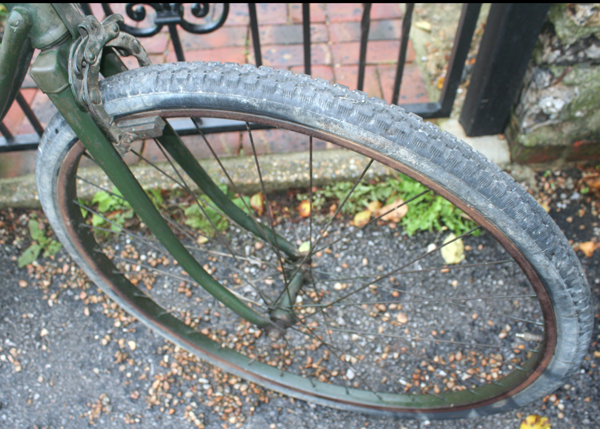 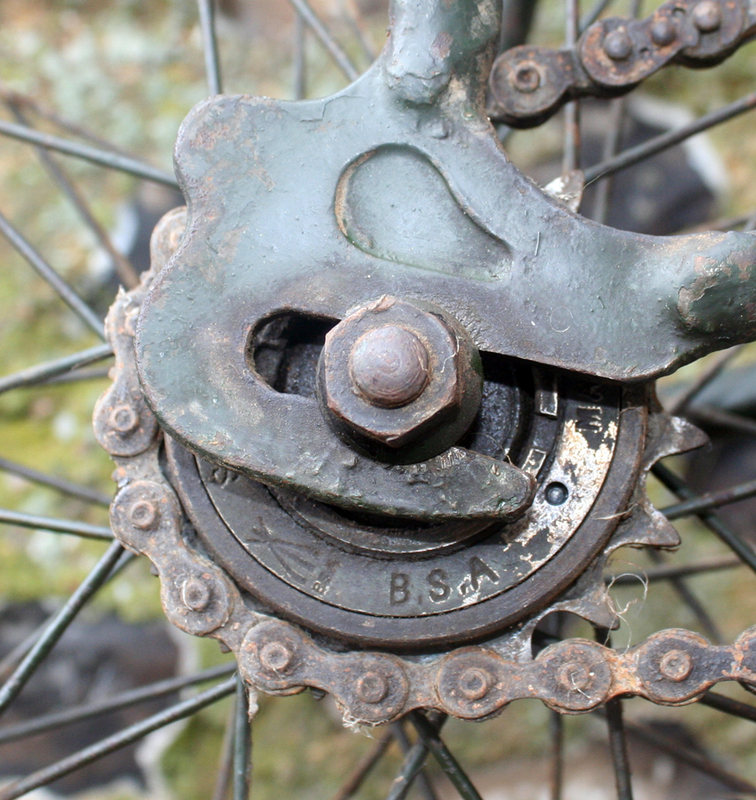 Its frame number suggests that this is one of the oldest BSA Airbornes to have survived. 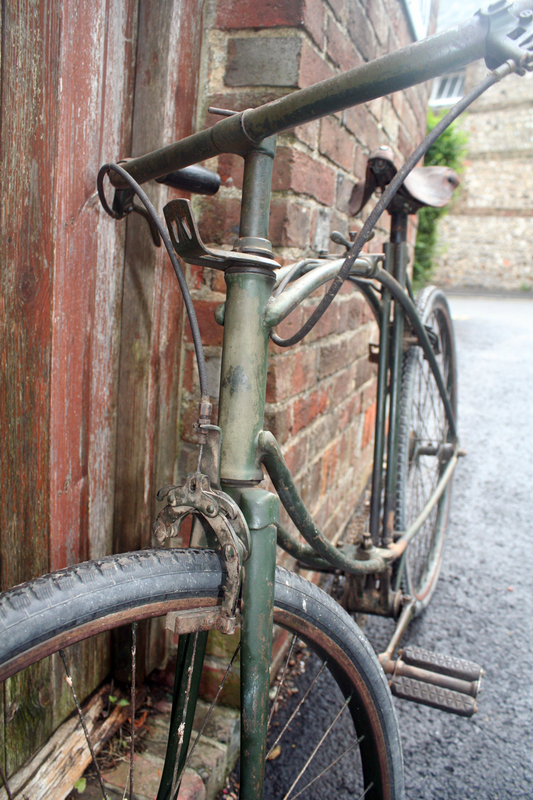 Despite being repainted at some time in its life, this one is in very good original, unrestored condition. 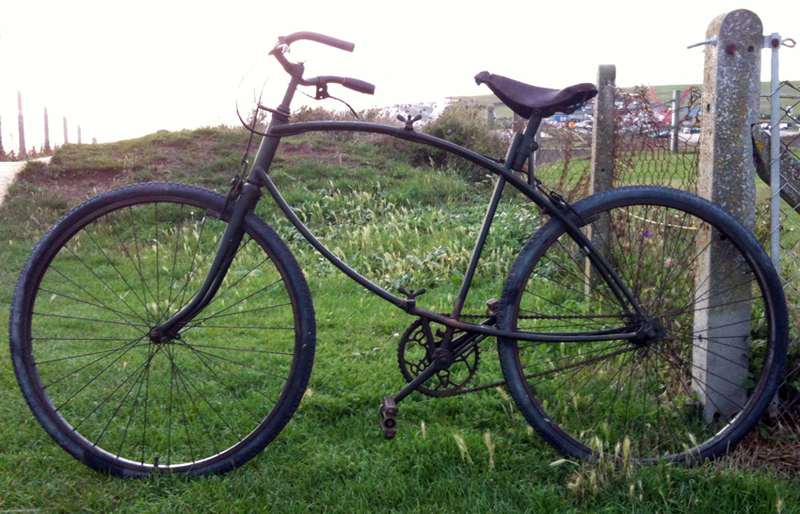 After picking up this bike I went straight round to my friend Barry’s workshop. 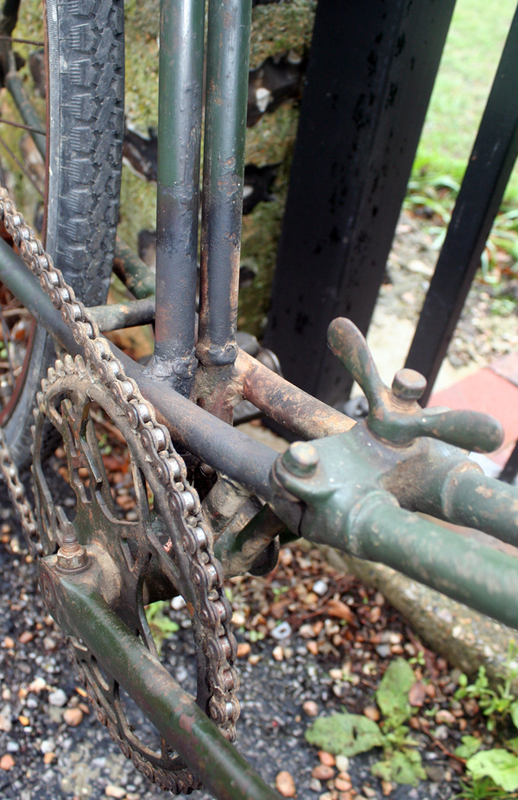 A quick wipe of the headstock with some thinners revealed what I hoped might be lurking under the paint …the original front arrow transfer! 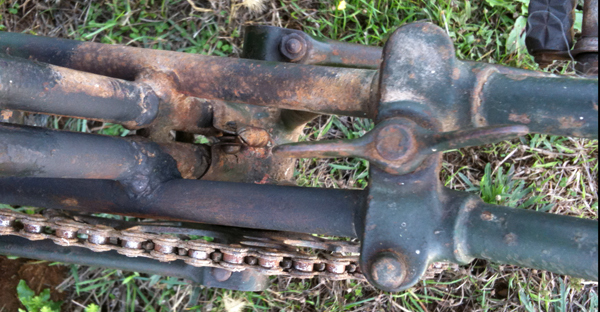 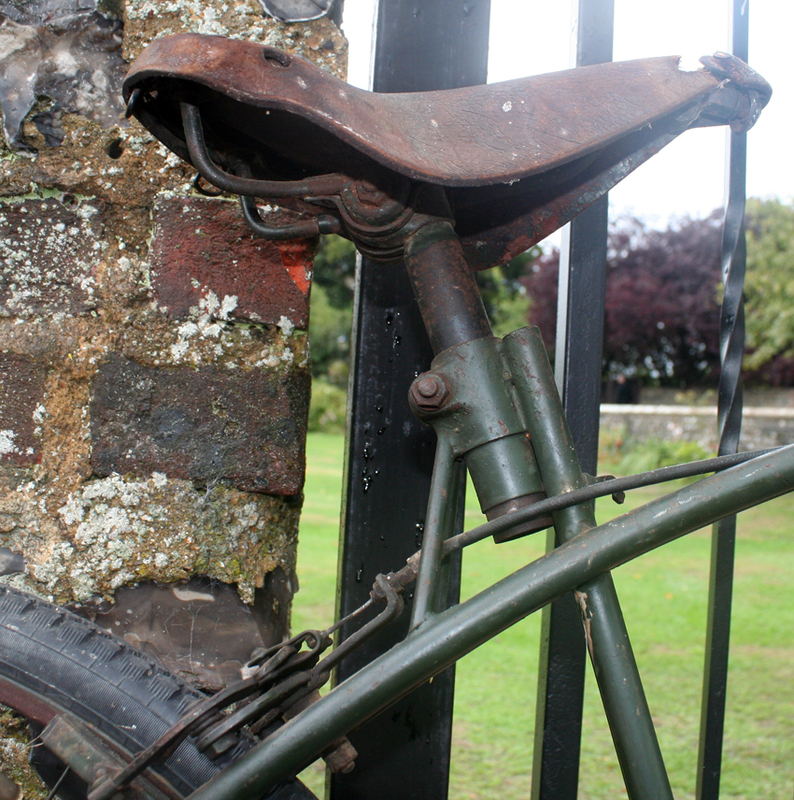 Below you can see its original BSA Airborne handlebar grip. 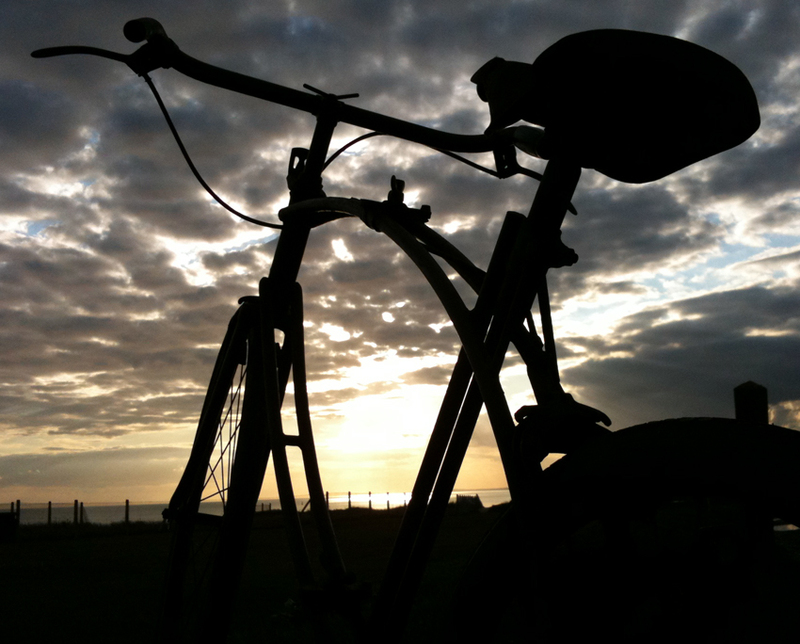 Unfortunately, there’s only one of them. 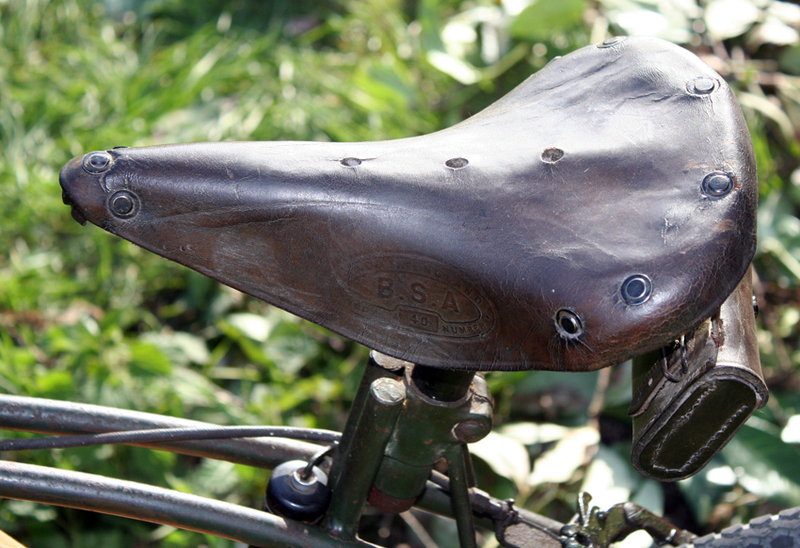 The BSA saddle is original too. 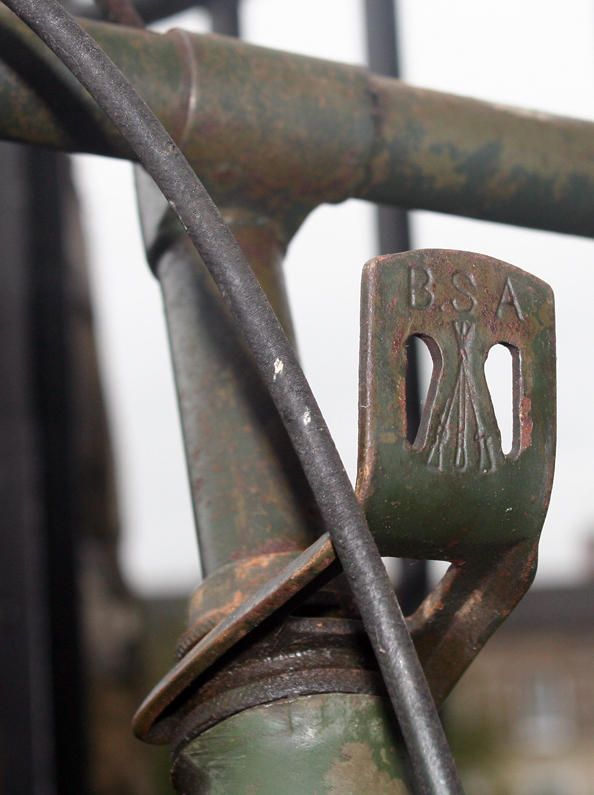 Much chafing from half a century of posteriors has left it somewhat worse for wear and all those bums have worn away much of the BSA logo. 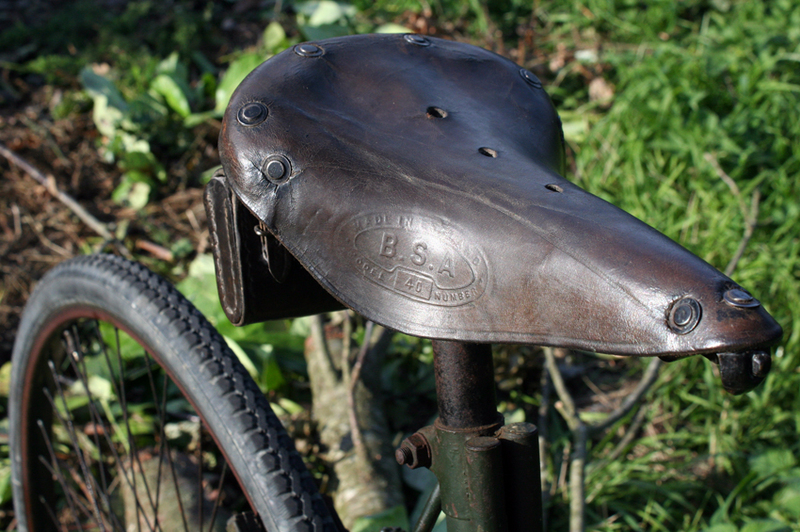 I’ll add a piece of leather underneath to repair it at the front, and apply some brown shoe polish to treat the leather and see if it brings out the BSA name. 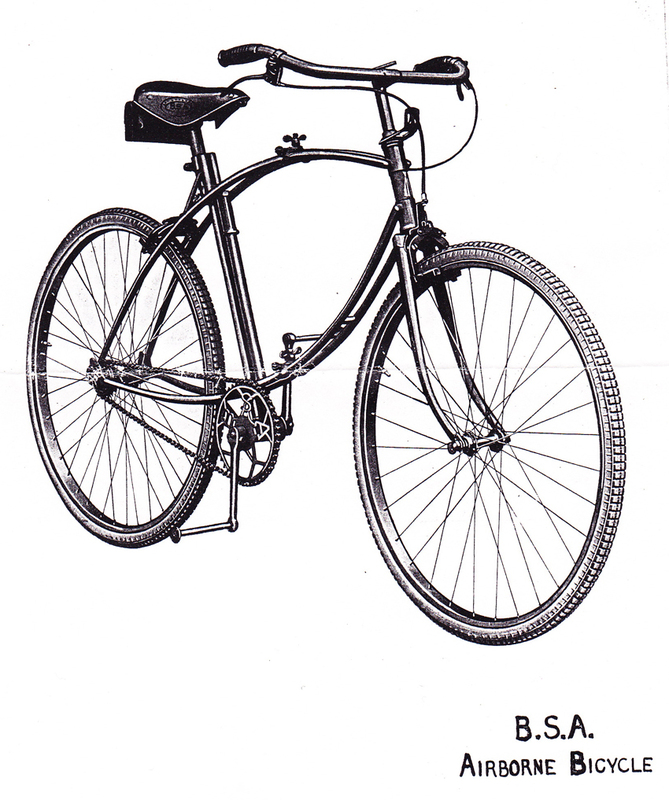 Many photos of BSA Airborne bicycles illustrate a side profile, which would make it hard to distinguish a twin seat tube model from the single. 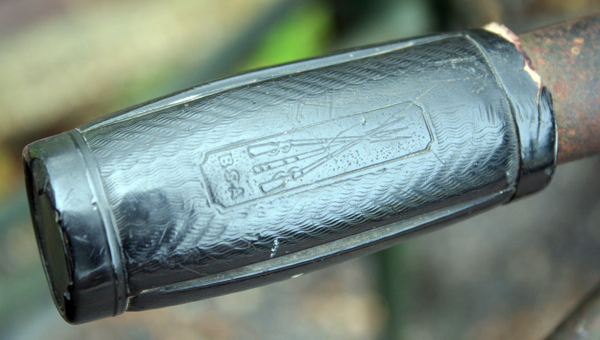 The main difference between the two models that can be seen from distance is the top of the seat tube. 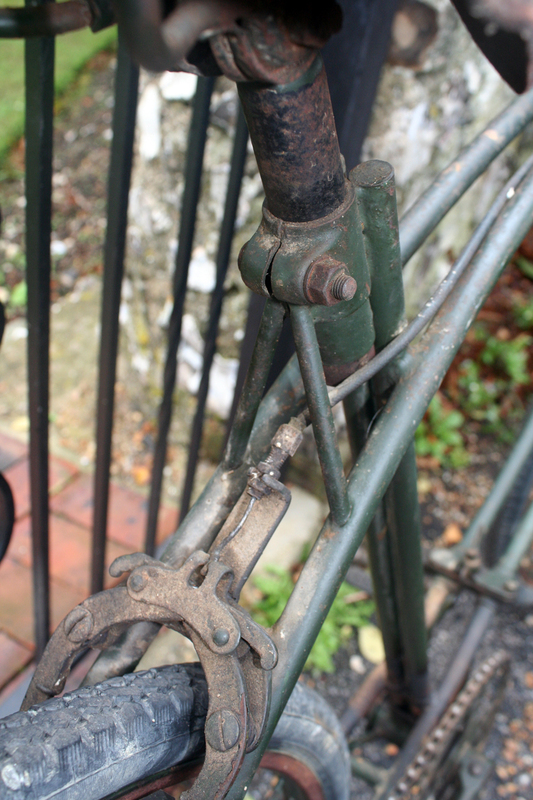 The seat tube mount is markedly different. 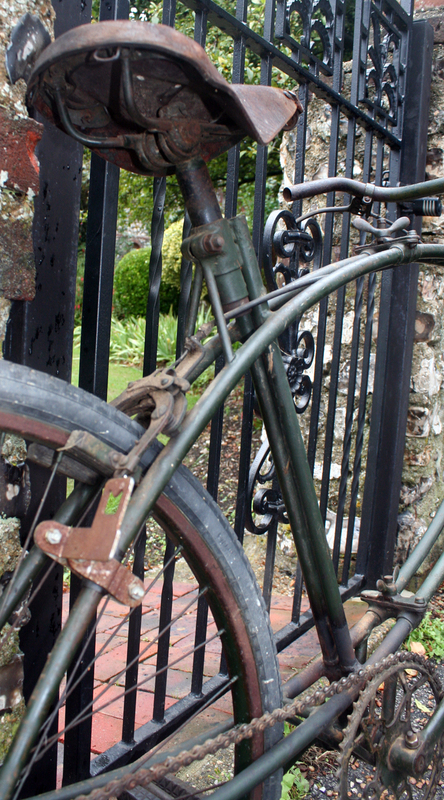 You can see it here in detail from various angles. 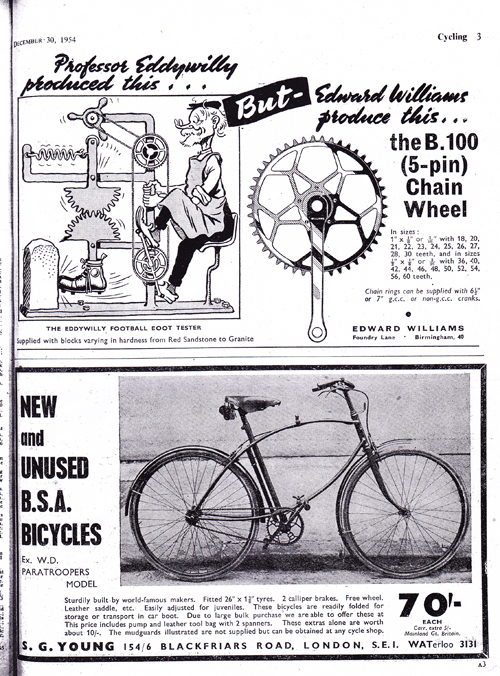 The saddle actually fits into an extra tube fitted behind the twin seat tube, a radical departure from conventional bicycle design of the time. 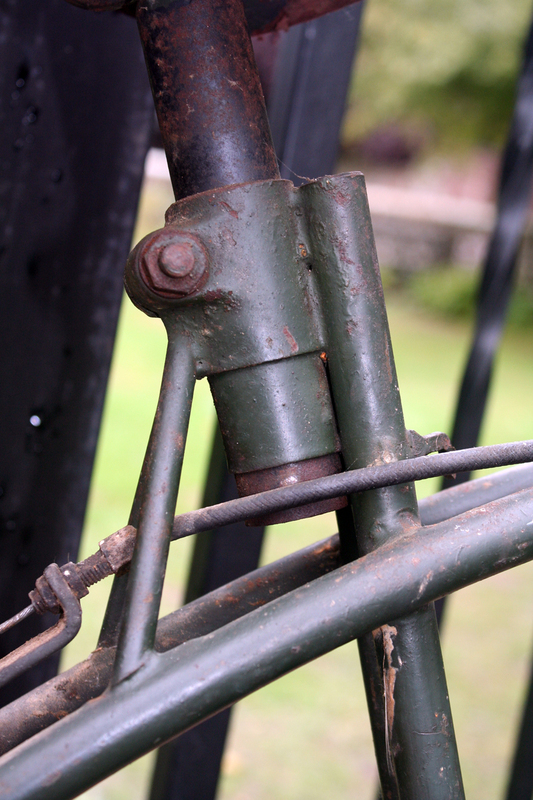 Below you can see that the bottom of the twin seat tubes have been welded. 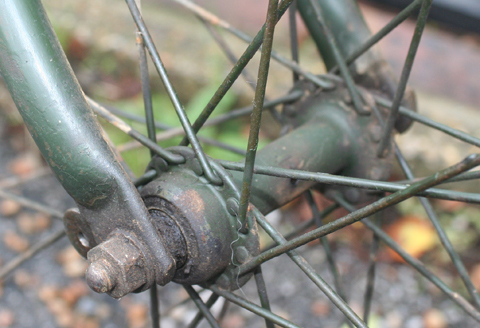 This is presumably why this model was superseded by the single seat tube model. 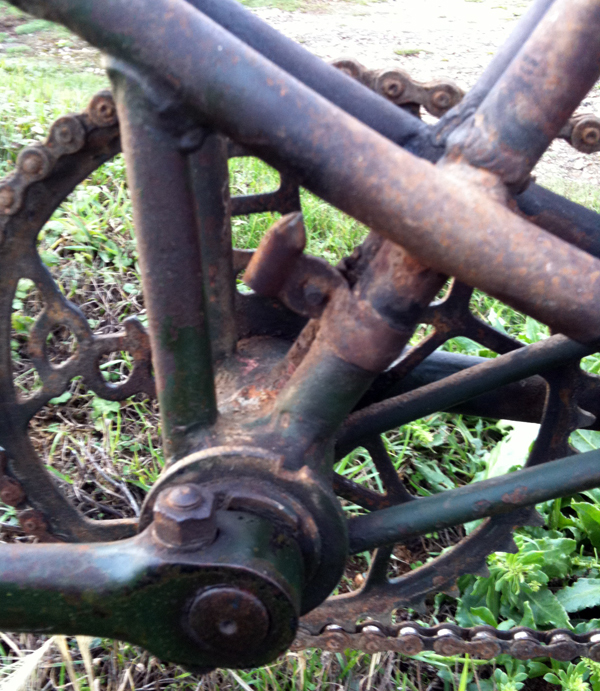 Though this version is lighter, the frame was weaker; obviously that part of the bike is the main stress-point. 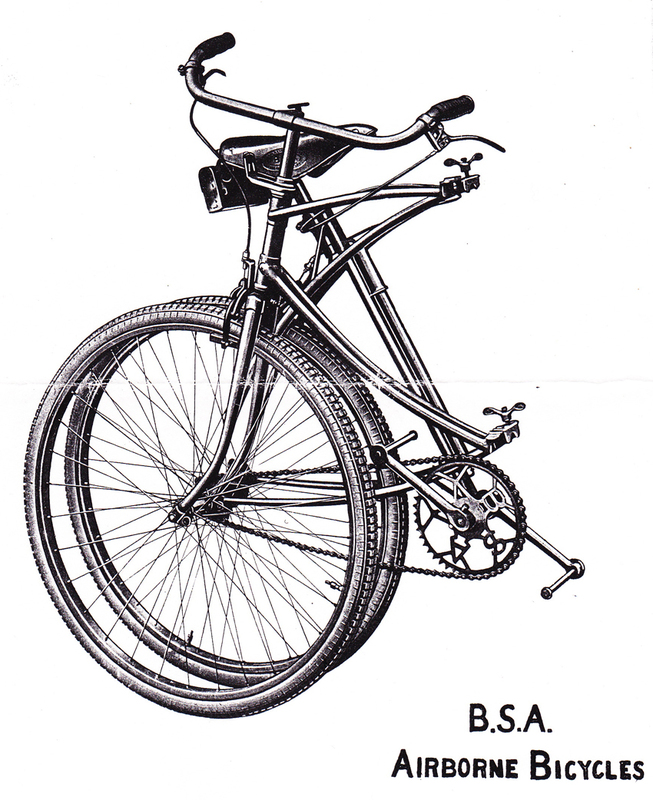 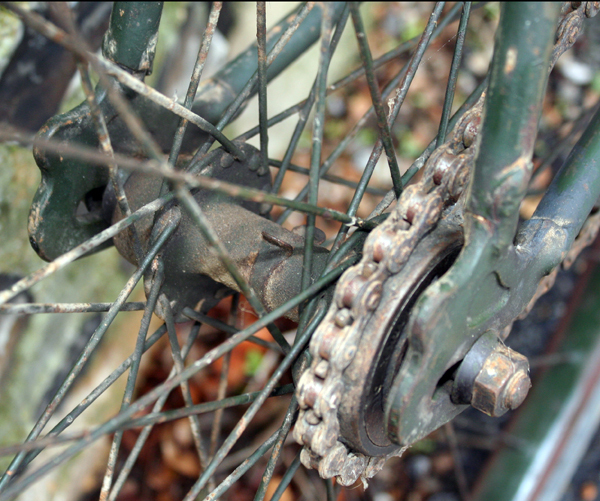 Another difference between the two models of BSA Airborne is the lower air pump mounting bracket, seen here; it’s obviously wider to compensate for the twin tubes. 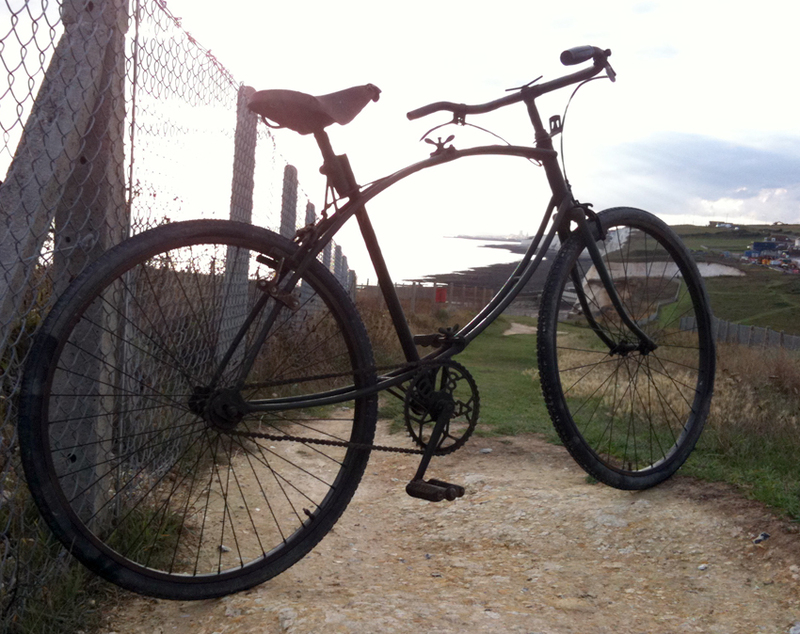 Here’s the Airborne at Newhaven Fort. 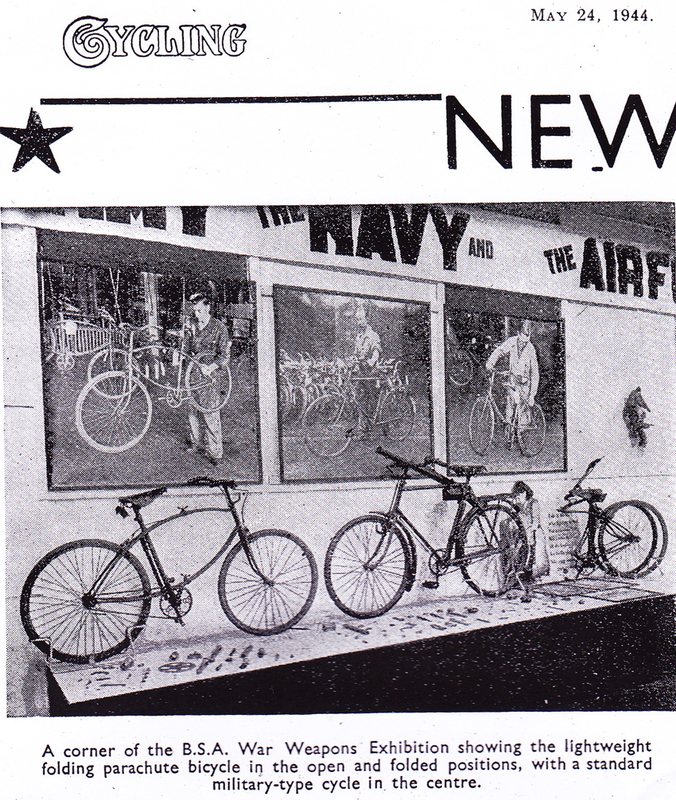 St Dunstan’s Home for Blind & Partially Sighted Ex- Service Personnel had set up a NAAFI shop, and I fancied a picture of the Airborne next to it. 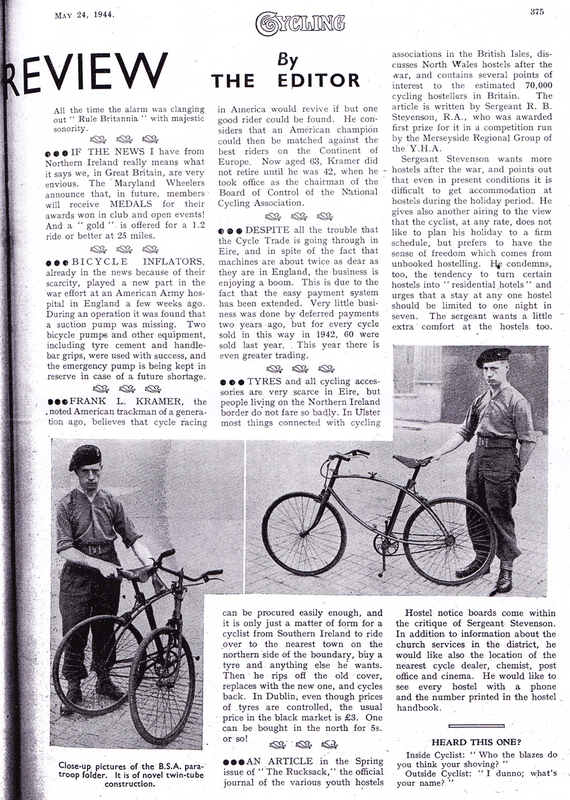 When the twin-tube BSA Airborne was introduced in 1942, it replaced the earlier BSA folding bicycle, officially described as ‘Machine, Folding, General Service.’ Below, you can compare the two models. 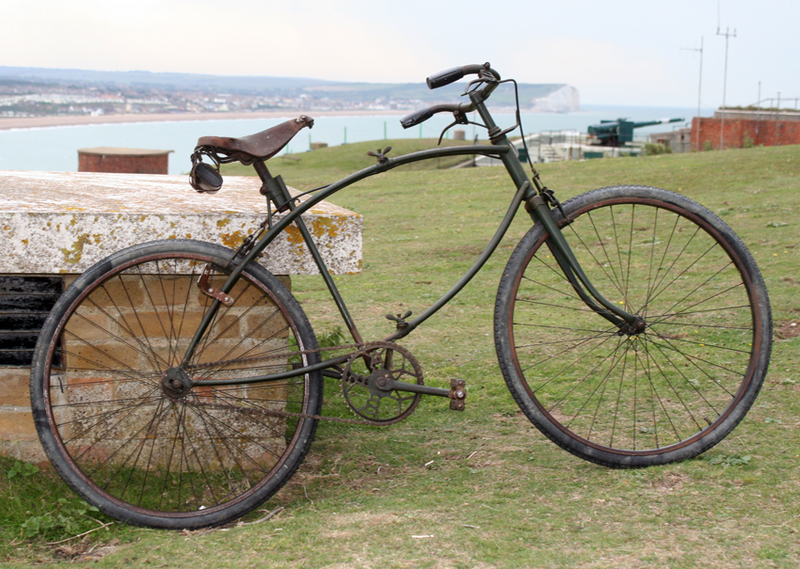 LOCATIONS: Newhaven Fort, Lewes Castle & Telscombe Cliffs. 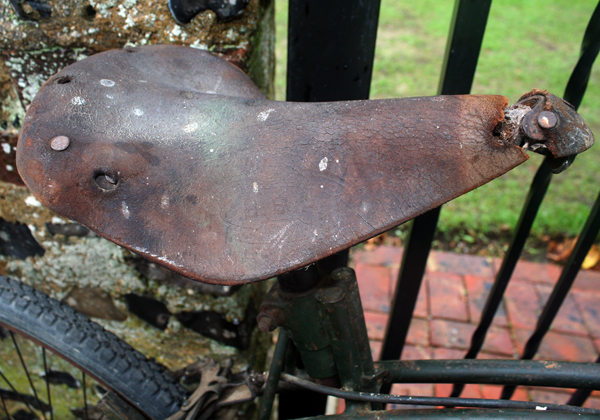 UPDATE 12th October 2010: It’s restoration is coming along well, and I’ve now fitted original sliding pedals and a much better original BSA 40 saddle. 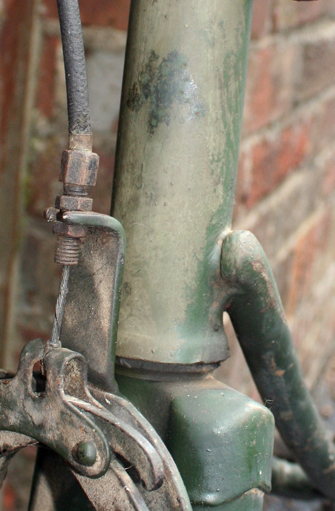 The next jobs will be to remove the overpaint and find an original handlebar grip. 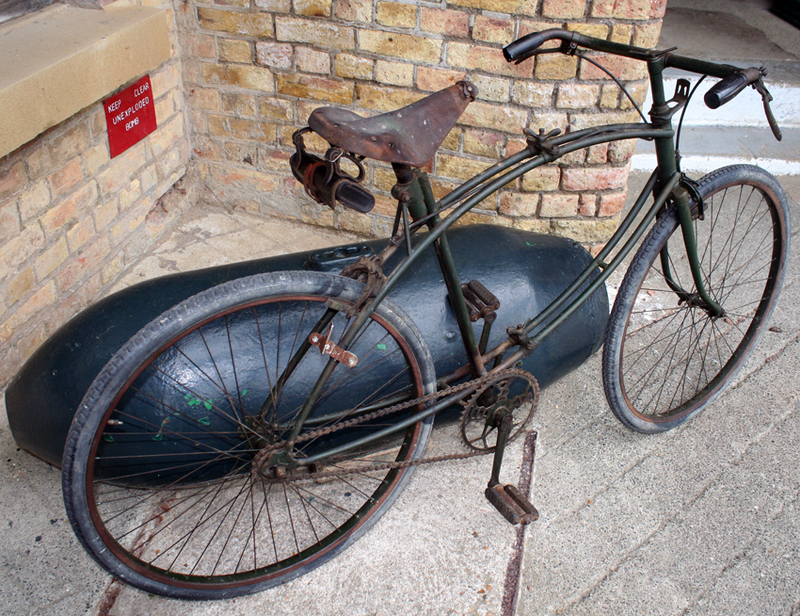 I’ll take the repro kitbag off, though I was interested to see what it looks like on a bike. 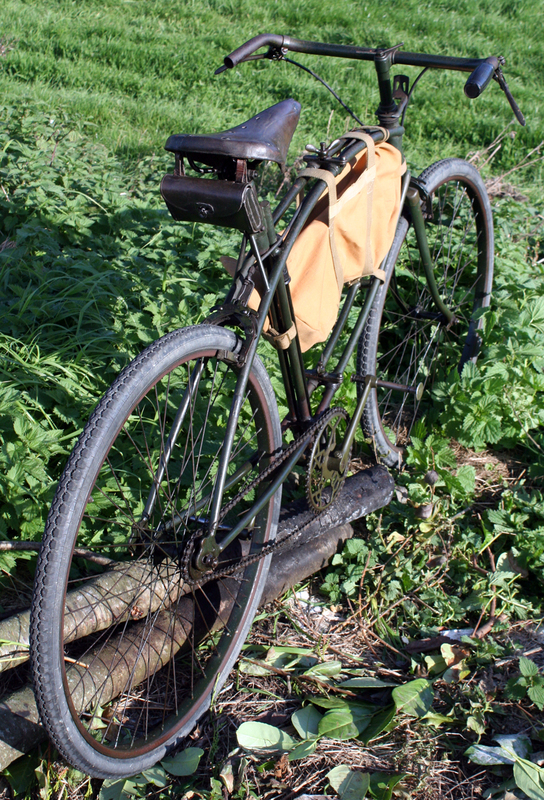 If I leave the kitbag in the garden over the winter it might age enough to match the bike.